The Statue of Unity is more than twice the size of the Statue of Liberty. Forest officials have begun relocating around 300 crocodiles to allow a seaplane service for visitors to the world's tallest statue, the newly erected 182-metre (597-feet) Statue of Unity. The reptiles, the largest around three metres, are being lured into metal cages and moved elsewhere in Gujarat on the back of pickup trucks. So far about a dozen had been extracted "from dyke number three of the reservoir which has been identified as a probable site for the seaplane jetty," a source told AFP on Friday. Local forestry official Anuradha Sahu said the instruction had come from the state government "for safety reasons as the tourist influx has increased" to the riverside edifice. The statue of independence hero Sardar Vallabhbhai Patel -- a pet project of Prime Minister Narendra Modi -- is more than twice the size of the Statue of Liberty. It was completed last October at a cost of $400 million. Bittu Sahgal, editor of wildlife magazine Sanctuary Asia, criticised the moving of the endangered crocodiles, tweeting: "Have we collectively lost our minds?" Priyavrat Gadhvi, a member of the state wildlife board, said any relocation should have been preceded by a thorough scientific analysis. 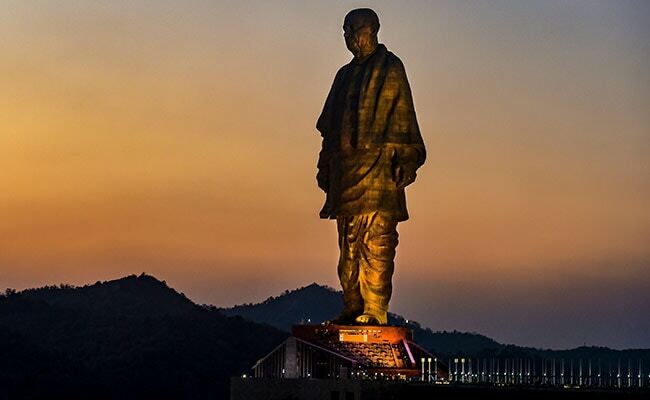 The statue is located in a remote stretch in Narmada district, with the nearest city Vadodora being about 100 kilometres away and Ahmedabad, Gujarat's capital, is more than 200 kilometres away. There are no trains, and most tourists take a bus on a four-lane highway from Vadodora to reach the landmark.